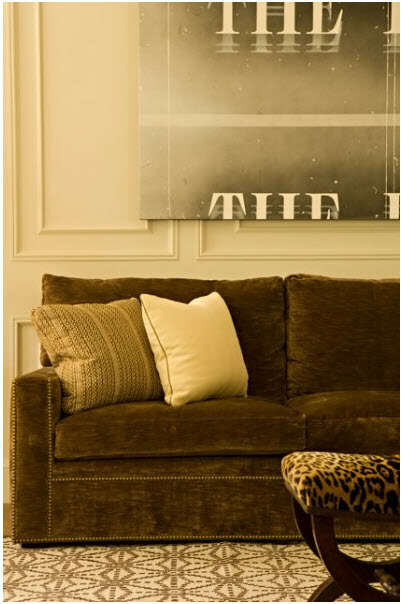 I know that animal print is considered a trend...but I still love it and I think its here for the long haul. 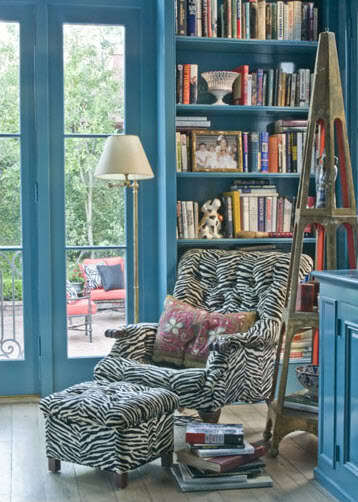 i love love the blue with the zebra print. 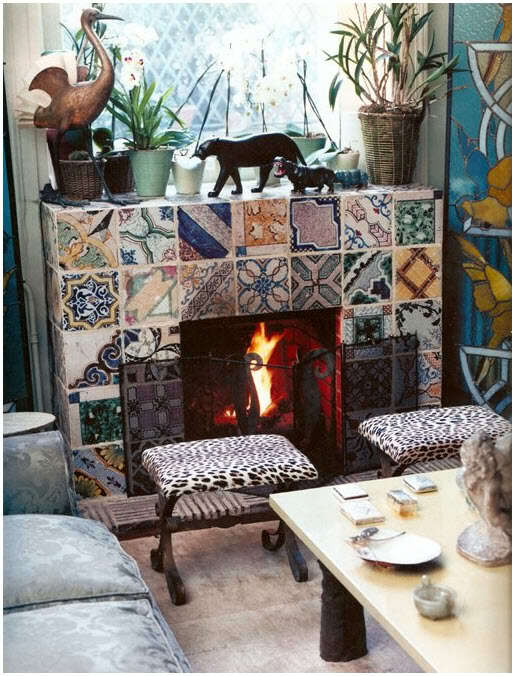 and wow, that fireplace is GORGEOUS! Loving every single one of these pictures!! I am going back to save some in my favorites files!!! I'm terrified of animal print. I don't know if I have the confidence to use it. 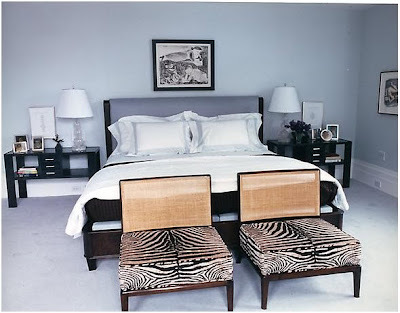 But that picture of the bedroom with the stool at the end of the bed definitely has me reconsidering my position!! 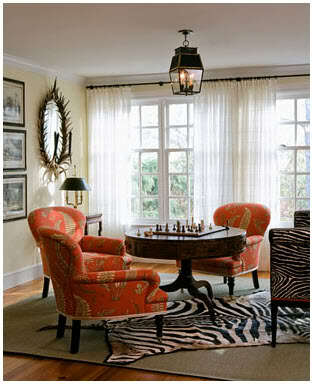 I'm in love with those leopard dining room table chairs! I agree with you. It's a classic. Love that second photo! gorgeous! now i need to find a little foot stool to cover in leopard. yummy. or tiger!!! Lets watch the bachelor next week at my house. I still love animal prints! I have a pair of tory burch flats in leopard and I wear them allll the time. Great post! Meowww! Love it! My fave is probably the 2nd one! A little hint of zebra never hurt anyone! I wouldn't mind having a rug or that last bench, it's gorgeous. a little hint of it is pretty fabulous isn't it? wow - what a nice collection of photos, nice work! 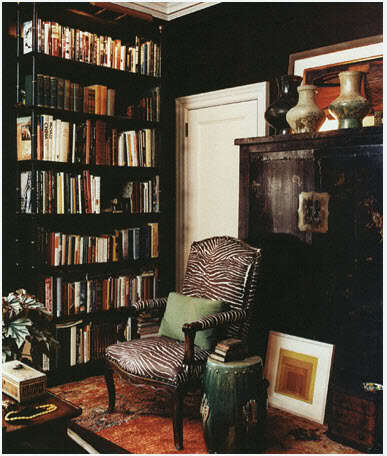 I love a little animal print, it makes a "i'm not too serious" statement and adds an instant eclectic look to a space! what a great collection of images...I am finally at peace with animal print. I like it, just took me a long time to get there! Happy New Year, Lindsay! I've been out of the loop, but peeking in every now and again! Hope your holidays were good! I love a good animal print. 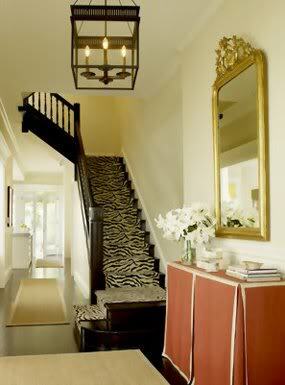 Especially when they pop in a room, like that zebra rug... yum! Love all of these, just enough of the wild, not too overbearing! I will always love a good animal print...even when it's totally out of style. Just can't get enough of it. 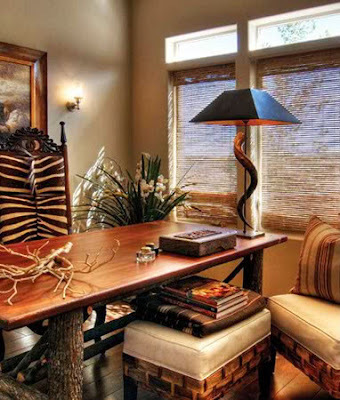 Wonderful animal print infused rooms. 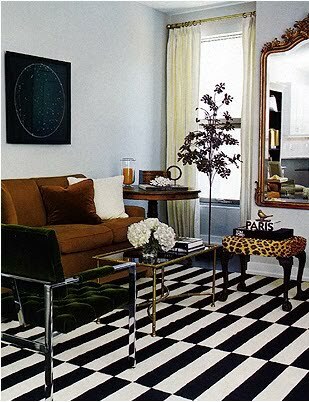 I will never tire of animal print! 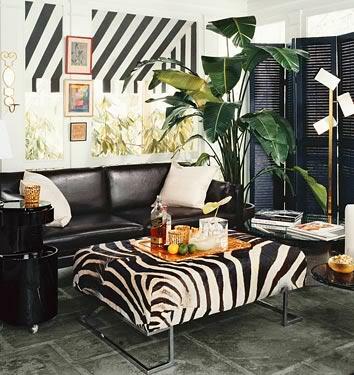 I l-o-v-e zebra rugs. I feel like I'm always saving pictures of rooms with them. I went and bought a cheap one from UrbanOutfitters on Newbury Street last year though, and it looked great -- for about 5 minutes. Every little white fuzzy and piece dust shows on the black stripes, and every teeny speck of dirt shows on the white stripes. It was a mess! Love the look, but not practical for apartment dwellers that have to actually LIVE in our rooms! wow I missed some great posts. LOVE these rooms! !